Perfect Laser specializes in industrial marking equipment R & D, production and sales. We has been committed to providing customers with comprehensive, complete, systematic identification mark solutions. In order to meet the new and old customers’ a variety of needs for laser marking, Perfect Laser developed a new co2 laser engraving machine. This machine with advanced dynamic marking technology, can achieve marking on carved surface material. The largest processing speed of the co2 laser engraving machine is 7000mm/s and very suit for the industrialized mass production. The co2 laser engraving machine is adopting full closed optical path system, America imported CO2 radio frequency laser, strict multiple protection control design, it can ensure the stability of the overall device. Wide range of applications also be the important advantage of the co2 laser engraving machine, it can complete the process including carving, drilling, cutting etc. And this kind of co2 laser engraving machine is suitable for large, multi species, high-speed, high-precision continuous production of industrial processing site. 1.Fast marking speed: Maximum 7000mm/s marking speed high speed scanning mirror. And this laser marker is suitable for industrial mass production. 3.Good stability: The laser marker adopts full closed optical path, imported CO2 RF laser, strict multiple protection control design, to ensure the overall stability of the device. 4.Simple operation: The special control software can be compatible with Auto CAD, Core lDRAW, Photo-shop and other software output, so that the laser marker can realize automatic edition and modification of symbols, graphics, bar code, two-dimensional code, serial number automatically increased, support PLT, PCX, DXF, BMP, JPG and other a variety of file formats, the direct use of TTF font. 5.Special software: The industrial marking equipment with special laser processing software, optimal path, greatly reduce the tedious drawing time. 6.Exhaust filter: The industrial marking equipment with double air duct, a two pronged approach to truly ensure that strong wind, thoroughly improve leather laser processing station environment, while satisfying the leather laser processing leather cleaning needs. 7.Module design: The industrial marking equipment with double closed dustproof patented technology, standardization of assembly process, tracing the multi circuit protection, modular design, self diagnostic function, truly do maintenance free. 8.Expand format: This new co2 laser marker breaks through the traditional picture of laser processing limitations, adjustable range of any marking. Special filter, can be quickly replaced, easy to clean up the skin slag. 9.Stable table: This new co2 laser marker is the special type laser processing, with humanized design, can greatly reduced fatigue and improved efficiency. Stable and firm. 10.Fast cutting: Fast cutting technology, under the same conditions(the same power, the same material same figures) This new co2 laser engraving machine beyond 30% - 50% from other similar products. 11.Folding cavity：This industrial marking equipment with optical path optimization design and better optical quality. 12.Digital scanning: This industrial marking equipment adopt the digital scanning technology, anti-interference, with temperature drift compensation function the with a greater range of carving and more fine engraving quality and faster processing speed. Applicable industry: This kind of CO2 Laser Marker is widely applied in glasses industry, leather products, clothing industry, wood products industry, craft gifts, packaging industry. 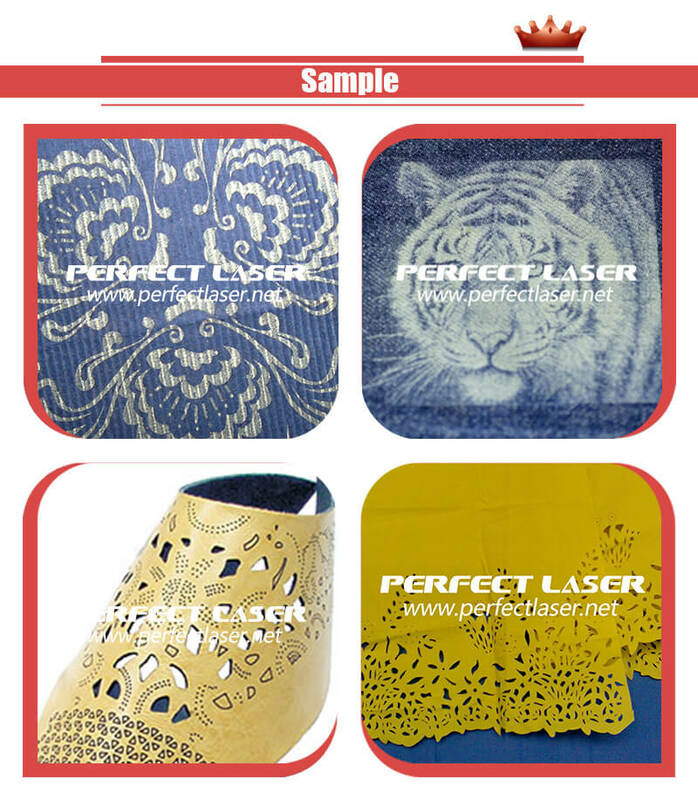 Applicable materials: This kind of CO2 Laser Marker is widely applied for most of the non-metallic materials, such as leather, cloth, wood, bamboo, paper, organic materials, acrylic and other. Special laser software, easy to operate, easy to learn, software integration, data optimization function, greatly save processing time and improve work efficiency.